Plum and tobacco like flavours deliver an exclusive taste adventure. The classic Mexican chilli powder for the Tex-Mex kitchen. Chili Powder – is it hell dust? One might really think that this powder comes directly from the depths of hell, as fiery as it is. Find out in the following paragraphs many interesting facts about this spice! But beware: read at your own risk! Chili powder really is very hot! Since the chilies are dried before comminution, they automatically lose their liquid. The consequence is that the result (the powder) is really hot. The used varieties themselves also have it in it. Habanero or Anchor Chili are frequently processed into fiery powder. You should therefore pay attention to the correct dosage of the spice, as too much heat can ruin the dish. That would be a pity! Also, the known safety measures that apply to the use of chili should be taken into account when using the hot powder. This includes, for example, the wearing of gloves, the thorough cleaning of all materials as well as the attention not to inhale any powder or dust. Chilies are not only available as a pure spice. You can also find the hot powder in a lot of spice mixes. Other ingredients are often black pepper (of course other varieties are also possible), coriander, garlic or marjoram (wild oregano). 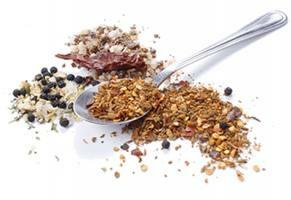 These spice mixtures can be used in many ways. You can not only season meat with them, but also, for example, refine soups and sauces. If you like to eat hot, you can use the spice wherever you want to create a certain heat kick. This can, of course, be the marinade for your food. Whether your choice falls on a pure chili powder or rather on a fiery spice mixture is solely a thing your personal preference. Are there also powder specialties? Yes, there are. Some variants are not only hot, but, for example they are also fruity. The fine Ancho Chili powder is a good example for this. The spice has a light fruity unique taste, reminiscent of the taste of plumes. The Piment d’Espelette is also a true specialty with a protected name. Only the chili which is processed in the French region of Espelette can be called that way. This is what makes the variety so special. Because of its origin, the quantities in which it is produced are also smaller, which lends this spice a delicacy status. Chili powder belongs in the kitchen as a main ingredient in more than just Mexican cuisine. The taste is known to have no limits, so the spice is also very popular in some parts of the United States of America. This is, of course, the so-called TexMex kitchen, of the southwestern federal states. But Chilli is very important in the preparation of many dishes in other parts of the world as well, such as the Asian and Mediterranean regions. Good examples of this are the cuisines from Thailand, Italy and Spain. Where can you buy chili powder? The spice departments in the supermarkets are partly very noticeable. Meanwhile, you can buy there the most diverse spices from all over the world. This also includes the hot chili powder. Asian shops and fine-dining shops also have the hot spice into their assortment. In addition to the shops, there is yet another, more comfortable, possibility to buy products of all kinds, by which we mean, of course, the Internet. 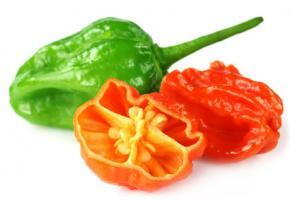 On the World Wide Web you will find a lot of Chilli Specialists. 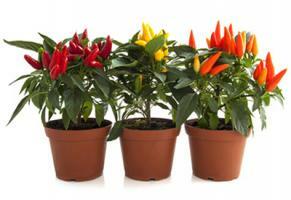 Since we are one of these, we also have an exclusive selection of fiery spices in our Pepperworld Hot Shop. Here you can find not only lots of different varieties, but also various amounts. The pack sizes range from small, portioned 10 gram packages, up to 750 grams to fill your home spreader with fiery powder. Spices are always very popular! When Christopher Columbus went on his way to find a sea route to India, he did it in order to make the way for spices easier. However, the Italian hasn’t found the way to India but instead to the American continent and with that, he also found the chilies. Thanks! However, history shows us very clearly that spices held an extremely high status throughout human history. There are known times when they were weighed against gold. 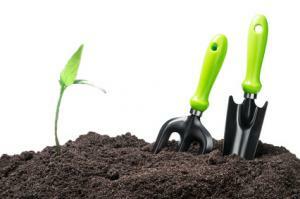 This costly goods are ever since an awesome gift, as they show prosperity. This fact has remained unchanged. The spices aren’t that expensive anymore, as they were hundreds of years ago, they remain however a cool present. Chili powder is extremely fiery, on one hand because of the varieties used, but because the peppers have to be dried beforehand. They lose moisture, but gain heat. 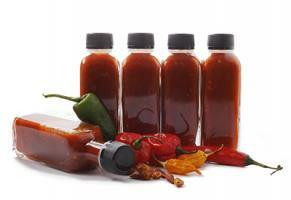 Chili powder is available pure or in various hot spice mixtures and is often the base for them. 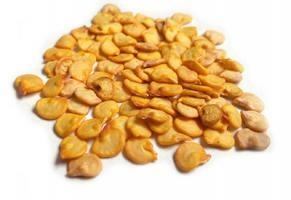 This ingredient is particularly popular in Mexico, the USA, the Asian part of the world and the Mediterranean region. Not all Chilli powders are equal. There are, of course, specialties, such as the Piment d'Espelette. This variety is produced exclusively in France. You can now buy the chili powder and the hot spice mixes in many supermarkets, but also delicacy stores bring such specialties in their assortment. In today's technological world, there is, of course, another way to get to the "hot stuff", the Internet. We, the people from Pepperworld, do not want to withhold the fiery powder and thus offer you a large selection in our Pepperworld Hot Shop. 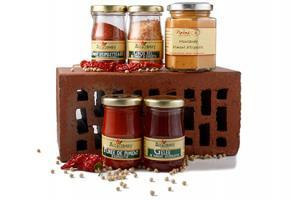 You can either use the hot powders and spice mixes from our assortment for yourself or give them as a gift. Spices have been gifted for many hundreds of years since they have been viewed as status symbols.